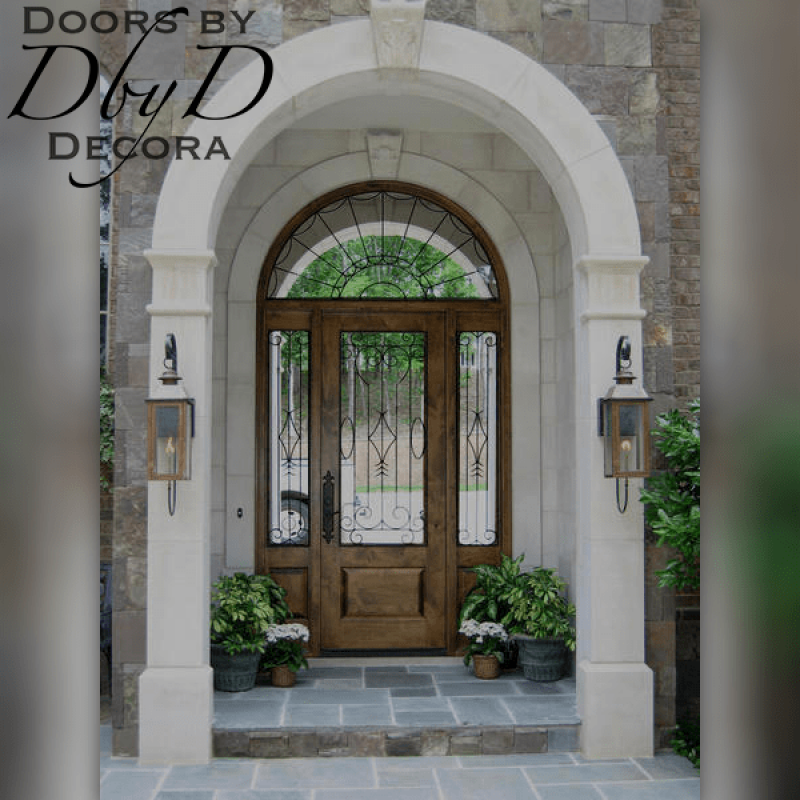 Mediterranean design is modeled off of the homes that dot the Mediterranean coast. 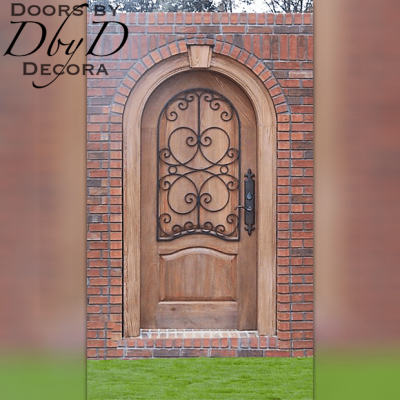 Our Mediterranean doors copy some of those same design features that have made this style of architecture so popular. 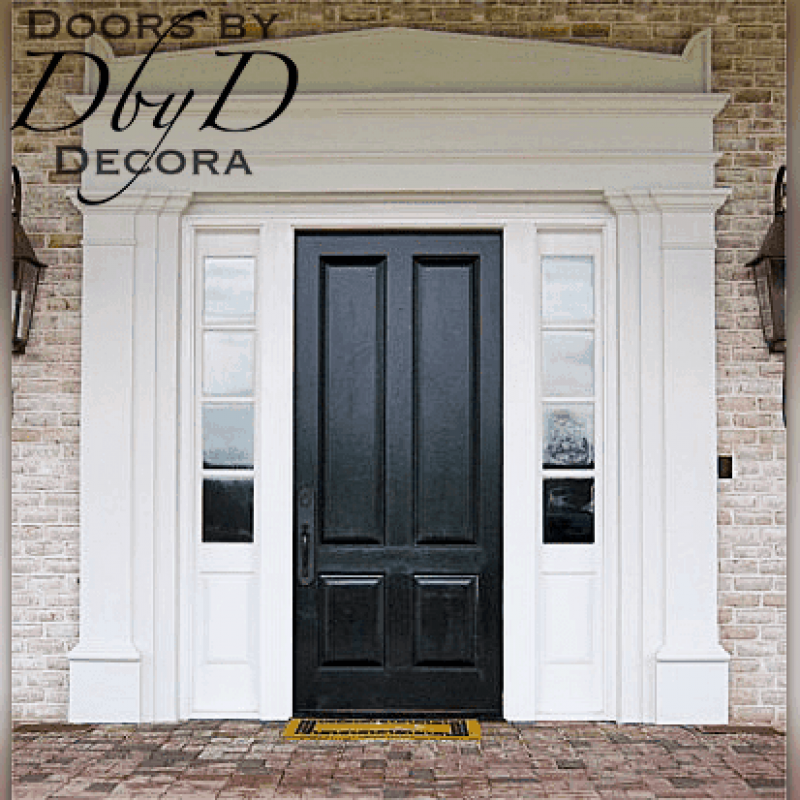 You will find that Doors by Decora’s Mediterranean doors are a fundamental part of our Country French Collection. 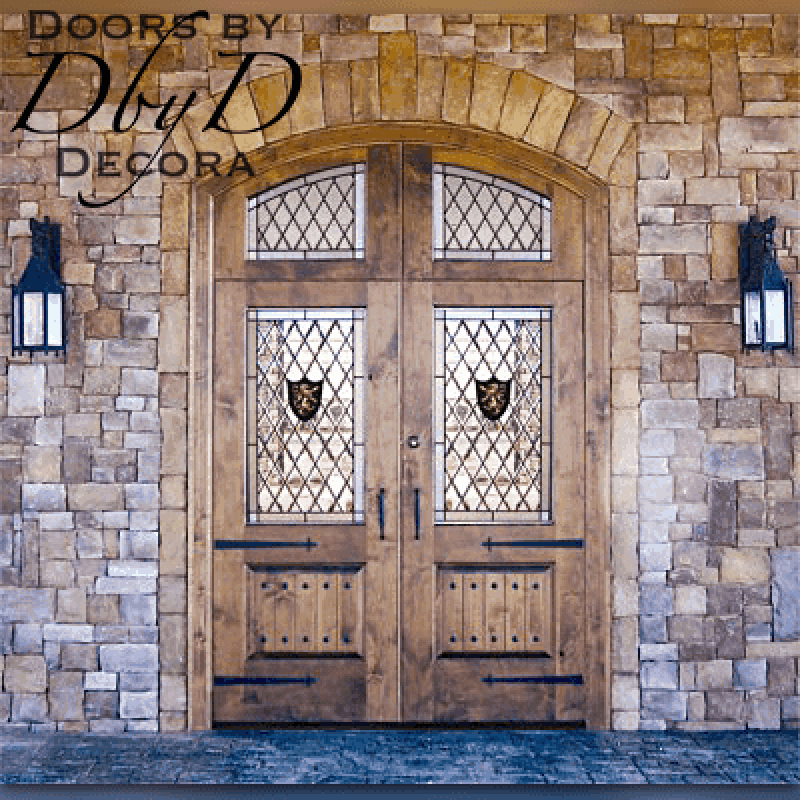 Our Mediterranean styles can feature either classic, solid panels, or beautiful leaded glass designs. 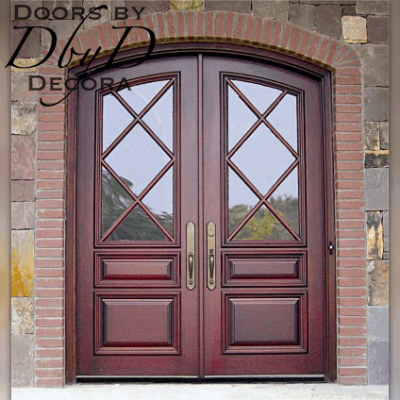 You can see some of our favorite mediterranean doors below, or View All Country French Doors. 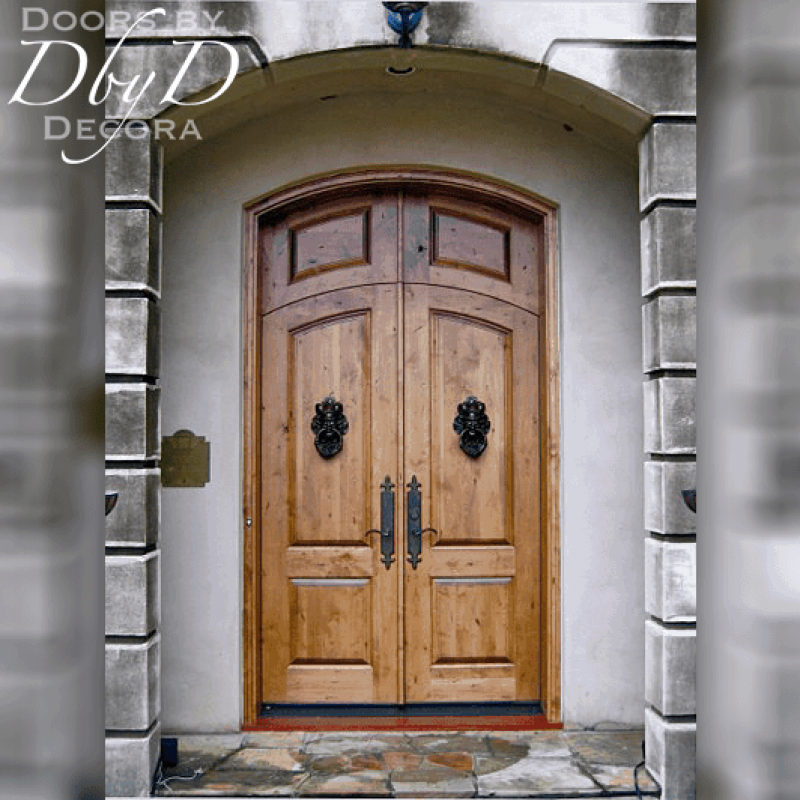 At Doors by Decora, we use many design elements so that our Mediterranean doors make you feel like you are visiting the Mediterranean coast. 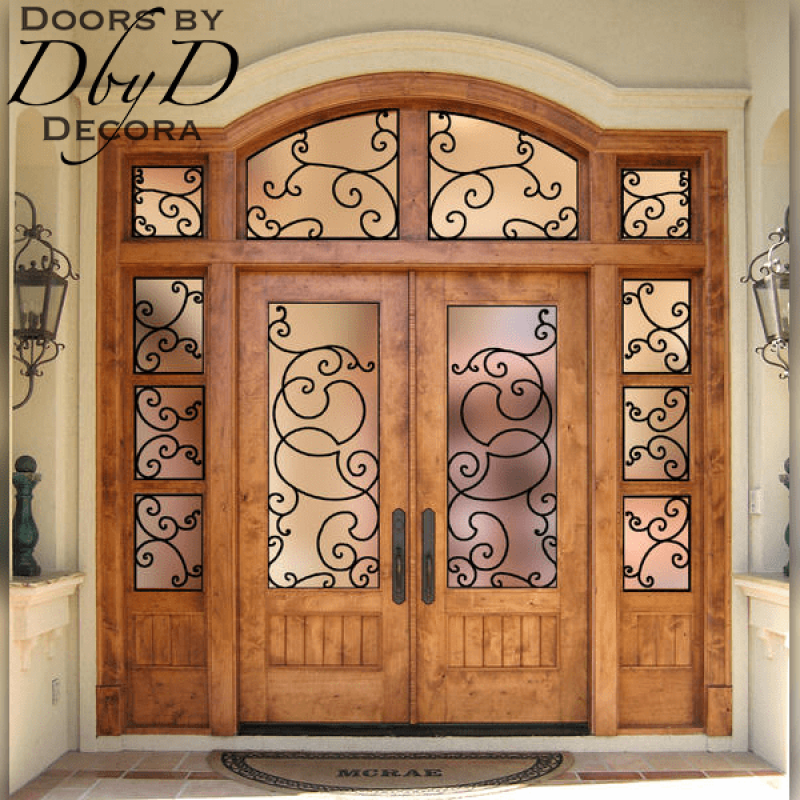 One way that we achieve the look of Mediterranean design is by the use of wrought iron grills. We are lucky enough to have our own blacksmith on staff. 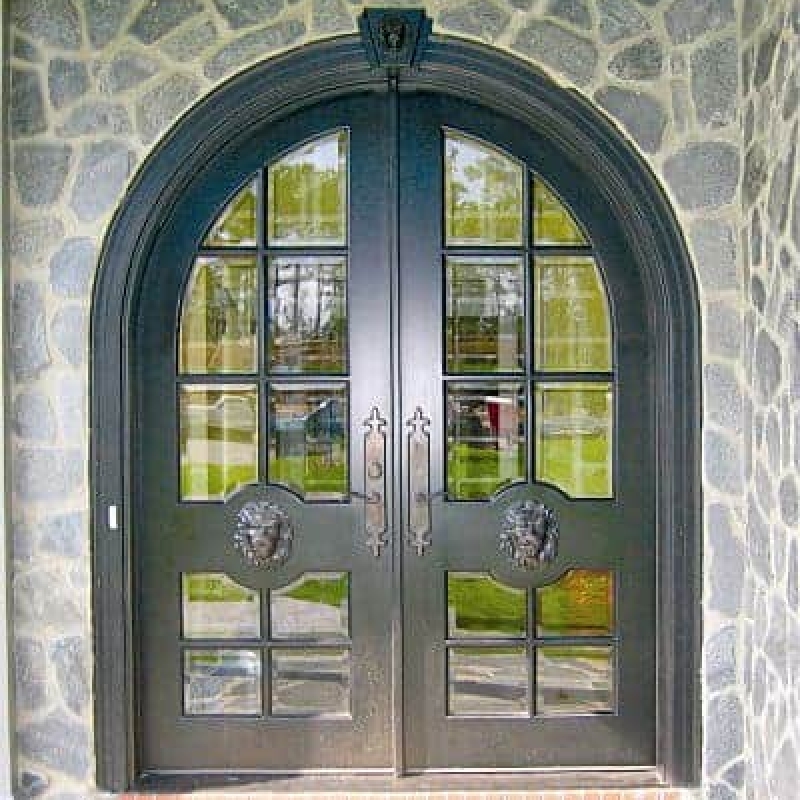 Consequently, you aren’t limited to only a few styles of wrought iron. 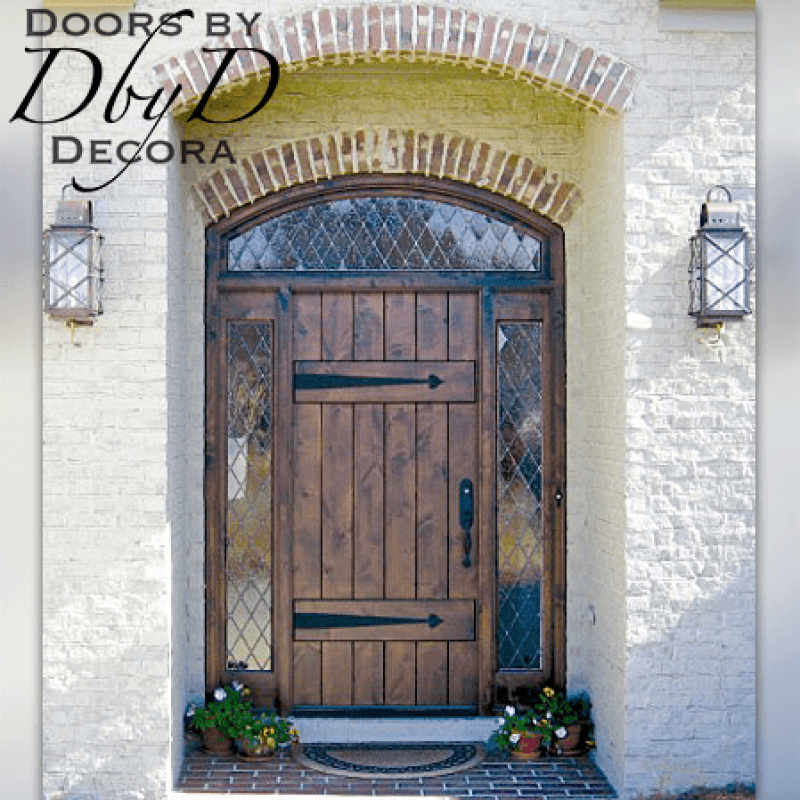 We can design something truly unique and spectacular for your doors. Additionally, we also have our own in-house stained glass studio. 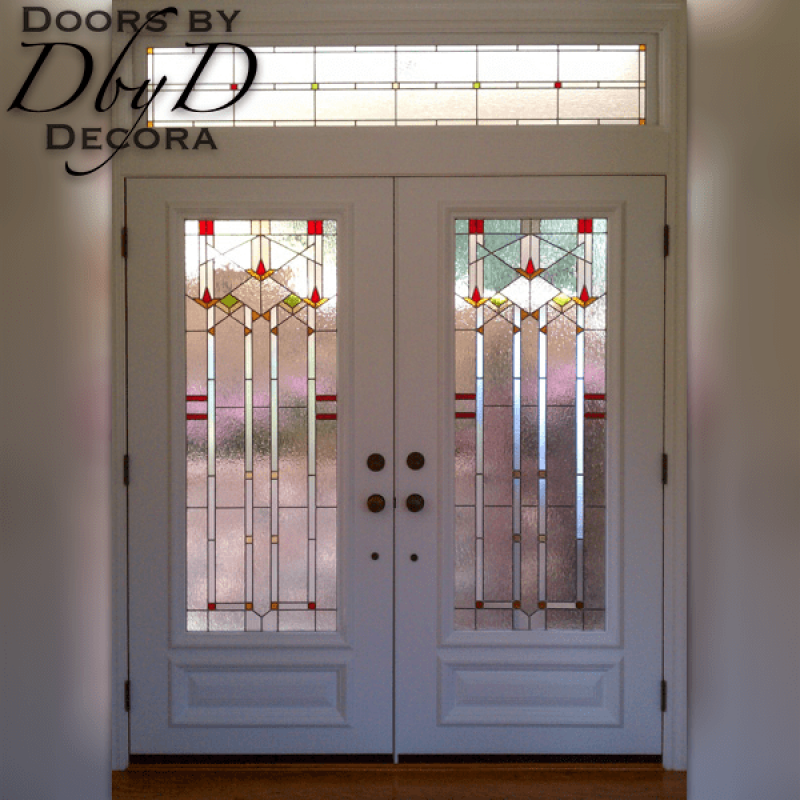 Should you desire leaded glass in your doors, our stained glass artisans will build each piece just for you. 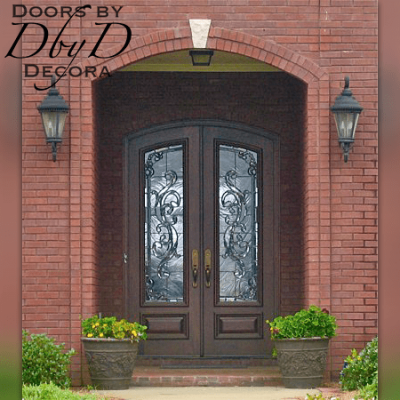 We can modify any of our existing designs, or design something new based on a photo or an idea that you have. 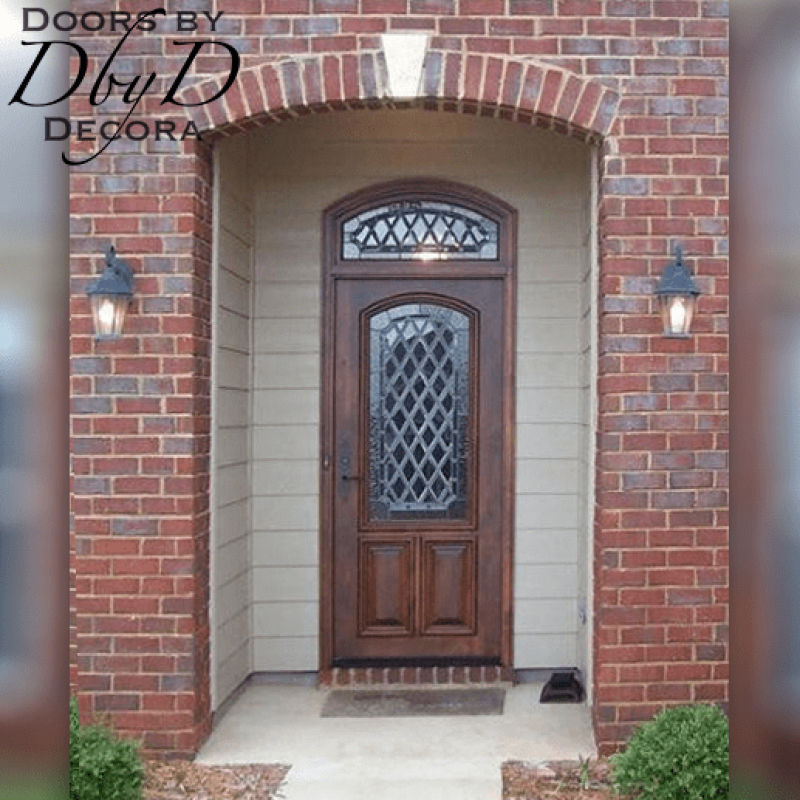 Many of these details are featured in the doors below, or you can view all of our Country French Doors.